It helps to first understand a little about mold. Mold is another word for fungi whose bodies gather and congeal together to form cottony vegetative bodies. Not all mold is cottony, however. Types of slimy mold are more like amoeba than their cottony cousins and leave a moister, slicker mass on the molded surface. However when it comes to bread, you will most always see the drier, threadlike mold. Mold commonly grows on bread faster in warm, dark, moist conditions. However, mold can grow in light, and some molds can even grow on frozen foods. Molds grow in varying conditions, at varying speeds, in every color you can think of. Not just a disgusting addition to old food, mold can be beneficial in many ways. One of the most common ways mold is used positively is to make antibiotics such as penicillin. In 1928, Alexander Fleming accidentally discovered penicillin when he found mold growing on a discarded petri dish. The mold itself was not the miracle. Fleming discovered that the mold that had grown had killed the Staphylococcus aureus that he’d been growing in that particular petri dish. Take a cotton swab and collect some dust. Wipe the dust over the bread slices you want to experiment with. Place them in a bag with a few drops of water and seal the bag so the slices don’t dry out. Now you know a little more about bread mold and the types of experiments you can do. You may have an idea of what you’d like to try as a project. Simply by asking questions about things that interest you, you can come up with great bread mold science fair projects that can be fun to do! Doug Nicholson is a nuclear engineering technician, science hobbyist, and amateur inventor. 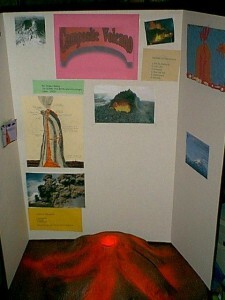 Visit his site science projects resources for some more science fair projects ideas and articles. Make a Tin Can Luminary! Glue 5 pom poms around a yellow one. Tip: white ones around a yellow center will look sort of like daisies! and blue ones sort of look like Forget-Me-Nots! Tape the end of a chenille stick to the back of the flower head. 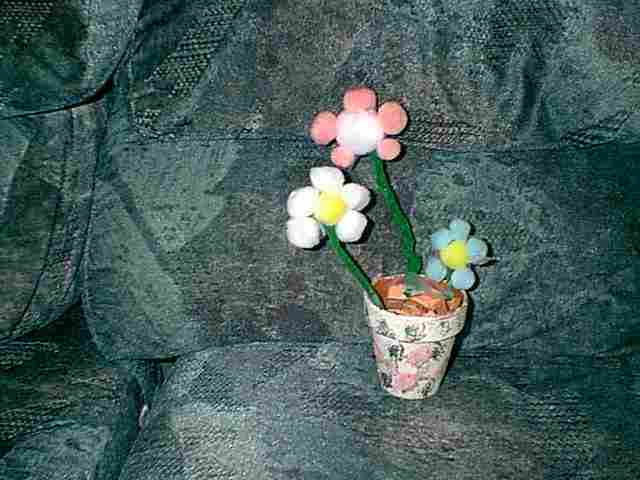 Tip: Make 3 or more of these flowers making the stems different lengths for a nice look! Decorate the ouside of the pot any way you like. Scrunch up the brown paper and push it into the flower pot. arranging them the way you like. for a raised head appearance. Make and Decorate a Bird House! 2 6″X12″X1/2″ and 2 6″X6″X1/2″ for the front and back. 2 roof shingles for the top. One of us kids drew the door with a pencil and Daddy used a saw to cut it out. We had lots of fun painting it and when it dried Daddy put it high in a tree. flutter and dance outside the kitchen window on a snowy morning. them make their own special bird feeders. friends flock to their new bird feeders. your child with repetitive pattern exercises. birds thank you, but your kids will have a great time too. covering stories that cover a whole spectrum of interest. going to need something fun and creative to keep them busy. kiddos will love displaying them for the holiday. down as you take it for a walk! About The Author: For more crafts and activities for your children, visit www.ShowKidsTheFun.com. And don’t miss Free Online Preschool Themes showmomthemoneyfor more fun ideas to spend time with your children. away, and some things will be ready to be passed down or sold. to decide on their fate! V-shape. Take it from there! furniture (kitchen chairs, coffee tables) to mark out a course. stepping-stones. You will have lots more ideas! three – then add a cuddly toy to the very top! music, a torch or two, and camp out for a while! constantly if there are younger kids around. Hobbyscience is not responsible for links to third party sites and accepts no responsibility for their content. No connection or association between hobbyscience and the linked sites or their owners should be presumed. 04/05/14 … Thanks to Jamie B. of Mrs. Willman’s Science Tutor Group for the following links to more on water studies. Using vinegar and a raw egg. Put an unbroken egg into a jar filled with vinegar(make sure to cover egg completely). Within about 24 hours the shell will dissolve leaving the inner intact and "flubbery". Carefully remove the egg from the jar and rinse with clear water. The egg will be intact and squishy soft. Shows how vinegar eats thru, dissolves calcium. Hold it up to a light and look in! Cut into it. What do you think you’ll find? Is the yolk firm or squishy? take notes state timing, observations, etc. The reaction of the eggshell and the vinegar is an acid-base reaction. Calcium carbonate, (a base), that makes up the shell reacts with the vinegar (acid) to make carbon dioxide. The vinegar breaks apart the solid calcium carbonate crystals which the eggshell is made of, into their calcium and carbonate parts. 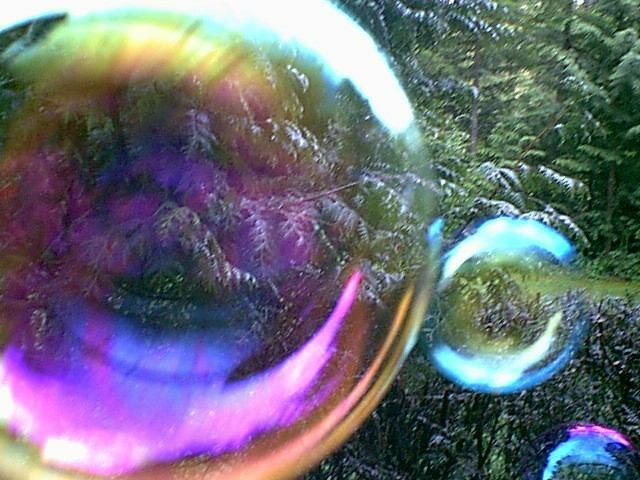 The calcium ions (ions are atoms that are missing electrons) float free, and the carbonate makes carbon dioxide – this is where you see those bubbles. In this article we will look at some interesting experiments and science fair projects you can easily do with eggs from the refrigerator. You will discover that the common egg has some amazing properties you might not be aware of. There are a number of egg science projects you can do but I will mention just a few here to spark your interest. I’m sure you will be able to think of many more by using a little imagination. For this experiment you will come up with a way to cushion an egg in a small container so it doesn’t break when dropped from a certain height. You can use something like a small coffee can that leaves enough room for your packaging around the egg to protect it from the fall. You will need to do a little research to determine what might be suitable materials to keep the egg from breaking. Lots of room to experiment here for sure with different materials and arrangements of the egg in the container. Do all your drop tests from a set height such as six to eight feet. Also drop the container on the same surface each time to keep your results consistent. As always with any science project, keep records of what you did and the results of each drop test. One very interesting feature of eggs is their strength. 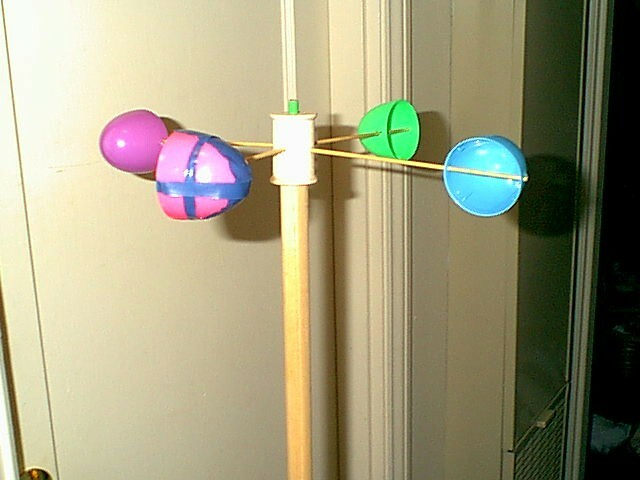 That strength though is very dependent on the orientation of the egg to the force or weight that is applied to it. So for this experiment you will determine if eggs are stronger lying flat or standing upright. You may also get an idea of how much stronger they are in one position than the other. I think you will find this very surprising just how much a difference the position of the egg makes. Remove the top from the carton and place four eggs toward the center and in a rectangular arrangement. Leave a space between them on each row. Place a plastic bag on the table under the carton. Place the other bag over the eggs. Now start placing books on the eggs one at a time. Make sure they are even and don’t tip over. See how many you can place before an egg breaks. Weigh all the books used if you have a scale. You now have an idea of their strength end-to-end. Place a bag on the table and make four loops of tape with the sticky side out. Place the tape on the bag in about the same arrangement as the eggs were in the carton. This is to keep the eggs from rolling around. Place another bag over the eggs and then start placing books. How many books did it take before an egg broke. Weigh the books if you have a scale. You now know whether eggs are stronger upright or lying flat. And you have an idea how much stronger they are in that one position than the other. I hope you enjoyed these experiments and use your imagination to develop even more interesting egg science projects you can do at home. About the Author: Doug Nicholson is a nuclear engineering technician, science hobbyist, and amateur inventor. Visit his site science-projects-resources.com for lots more Science Fair Project Ideas and articles. all sorts of flower seeds. gardening – watering, picking, and enjoying. pressing upward toward the light and heat. "cucumber in a bottle" trick. During the clear night sky and as long as the city lights are not close or bright enough to interfere with your naked eye vision, it is always a good idea to grab a blanket and some candles and head to your house’s roof or the nearest hill. Admiring the stars is not an exclusive activity kids are only allowed to perform, but it can be something you can share with them while introducing them to the unknown world of the universe. If your child has already looked up gazing the moon and the stars and has asked you all sort of questions regarding their characteristics, their special stories and the interpretation of their slow movements, you should invest some time during a Saturday night to take your kids to the countryside and show them the stars while they awe and wonder on how these “pins” are stuck on the dark sky and why they are not visible during the day. Introducing your child to the marvels above their heads can be a tremendously educative experience your kids will love to repeat as soon as possible. Even your back yard is an ideal place to begin the learning journey that can last a lifetime. But parents support that most of the times getting started is the hardest part of this process. If your young child has not yet learned the basics, then it is probably wisely to throw on your yard’s lawn some blankets and invite your children to join you under the stars. Asking first questions, before trying to explain how things are, can assist you to figure out what they should learn first and begin teaching them the first astronomy lesson in their lives. After locating the sky’s landmarks try asking questions that will excite your children and will motivate them to want to find out more. 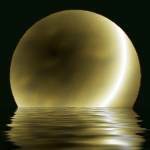 You can begin by locating the most easily recognizable element of the sky, the Moon before attempt to begin explaining why although the moon does not spin around itself, we actually see a portion of it every day until we are able to admire it as a whole. Furthermore you can look for other landmarks in the sky, like stars, in order to begin explaining the astronomical constellations. Your children will be thrilled to be able to admire such interesting scenery simply by looking at the moon’s surface and create imaginative stories for the stars. While children are still in elementary and middle school, they are more already exposed to stars and constellations. But the number of constellations and stars we are able to see each year is actually a very small number out of the plethora of stars in the sky. But if your last present to your teenager kid was a pair of binoculars, then things become even simpler. Bring a book about astronomy (suitable for your kids age) and begin reading and explaining to your children what you are reading really means. Remember that outdoor learning activities can be as simple as noting the time and location of sunset and moon rise, and as complicated as finding the names of the brightest stars in the sky during a clear night. Of course, you can repeat it as often as you like if the weather permits such outdoor activities for a family to get together. But even if the weather conditions do not allow you to go out and admire the night sky, next to a good pair of eyes, the Internet is the backyard stargazer’s best friend. Today, you will be able to find here are almost as many great websites devoted to astronomy as there are stars in the sky. This article is reprinted here courtesy of PromotionalEzineArticles.com and is the property of the author. Beginners in amateur astronomy are faced with a number of different challenges. One of the most daunting is the choice of a telescope. There are countless to choose from and too often there is minimum information on selecting the best one to buy for your specific needs and wants. Clearly, numerous newcomers to the hobby of amateur astronomy are often bewildered by the numerous types of telescopes available on the market. Astronomy is a fun hobby in which numerous enthusiasts just enjoy looking up at the sky. But if you are more serious than that, then you will need to pick out a telescope. Books and magazines about amateur astronomy are written which can be a good root of information. Some of the additional popular magazines are Astronomy Magazine, Astronomy Now, and Popular Astronomy. You will find clearly written, authoritative, and scientifically sound articles that will cover both science and hobby activities in amateur astronomy. But you will need a reliable astronomy telescope to enjoy the fascinating hobby of star gazing. The professionally made telescope had become a big part of the hobby. Interestingly, some people even focus on amateur telescope making as their primary interest within the hobby of amateur astronomy. In addition to books and magazines, you will be able to get acceptable advice at a local retailer that sells telescopes. Beware, however, that the thoughts you get at a retailer will be biased towards the products and brands that they carry. Another interesting thought is the astronomy club in your local space. Membership is usually open to all those interested in pursuing astronomy as a hobby. They are the best opportunity for people new to the hobby of Amateur Astronomy to ask questions. Numerous regional star parties are now held by the local clubs and are an essential part of the hobby of amateur astronomy. And for a fledgling beginner to this fascinating hobby of amateur astronomy, there are countless beautiful objects to "discover" for the first time. And, since the hobby of amateur astronomy is one of sharing views with friends and strangers, you are sure to meet numerous new friends who will share your passion and curiosity. Fortunately the organizations that have formed around amateur astronomy are truly outstanding and helpful. Because of this, the lines between professional and amateur astronomy are slowing blurring. You’ll be surprised how much useful data there is among the members of your local club. Since viewing of stars and other heavenly bodies is adversely affected by light pollution, clubs will also know the best places from which to enjoy your hobby. For many “astronomers,” the mysteries of the heavens is what draws them to this hobby. Many enthusiasts acclaim that the hobby of amateur astronomy adds a sense of order as well as one of anticipation to life. Is this overly dramatic? Perhaps, but if you have any curiosity at all in the fascinating hobby of astronomy, join an astronomy club, get some magazines and books, and talk to some retailers about how best to approach this bang-up activity. You’ll be glad you did. If your youngster is showing interest in stargazing and astronomy, a kids telescope can get them started with their new hobby without a large investment. Realize that a kids telescope is not a toy, but a fully functioning beginner telescope without all the advanced features. Giving your youngster a kids telescope will let them know that you support their interest in astronomy and see it as a worthwhile endeavor. A real telescope, even without all the features, can give your child or grandchild a head start in learning about the universe and star systems. While you can purchase a child telescope for under $25, these are really more of a toy than a functioning astronomy telescope. A real basic beginner telescope can be purchased for around $100 and can provide the young astronomer with a gateway to the heavens. If you wish to invest a little more, a good starter telescope with some of the more advanced features, will cost anywhere from $200 to $300. This will provide your youngster with a quality piece of stargazing equipment. As the child’s interest grows, an investment in a more sophisticated telescope model might be appropriate. For instance, many young astronomers enjoy having the capability to photograph certain star formations or passing comets. Many astronomers and educators recommend a telescope with a longer focal length and separate viewer. This allows the child to find objects much easier and reduces the frustration that can result for the novice astronomer. There are many cheaper models that offer a focal length of only 30mm or 50mm and will provide a more generalized view of the night sky. However, if you want a telescope that will provide a more detailed picture of the planets, moon and constellations, a 70mm or higher focal length is strongly recommended. Kids telescopes are available from a number of top-rate optics companies like Meade, Celestron, Bushnell, Orion and many others. Even the Discovery Channel offers an affordable 70mm lens kids telescope with easy set-up and easy-to-use features. Meade provides some of the best telescopes on the market today and caters to the amateur astronomer ? from beginner to expert levels. For example, a 1000mm focal length telescope with photographic capabilities can be purchased for about $150. This is an excellent choice for the new astronomer because it provides a very good view of the heavens and shows details of the planets and moon that are generally not found with a telescope in this price range. An added bonus is that a 35mm camera can be attached to this telescope that allows your child to preserve those special night sky views on film. Reading the instructions for your child’s new telescope can’t be stressed enough. Even the basic kids’ telescopes can be confusing to use the first few times. It is advisable for the parent to read through the instruction manual and help the child astronomer learn the basics of the telescope’s operating features. A great way to enhance your child’s interest in astronomy is to view the night skies together. There is no better way to bond with your child than by enjoying the same hobbies and actively pursuing them together. A kids telescope can open up a whole new exciting world to your youngster. It can broaden their understanding of the universe and allow them to be a part of the cosmos beyond just this planet. Why not invest in your child by getting them a kids telescope for fun, education, and a true bonding experience. About the Author: Learn more about a kids telescope by visiting a1-telescopes and find more tips on buying a beginner telescope for your young astronomer. Crickets are fun to raise. The male crickets make a very cute, soothing chirpy sound. People have kept them as pets over the ages. There are many different kinds of crickets. You can buy crickets at pet stores that sell them as feeders for other such pets as Tarantulas and Anoles. A good home for your crickets should have clear sides that you can look through. A screen top that can be secured so that they can’t escape, can breathe and also so that your pet cat cannot reach inside! Put a layer of sand on the bottom. If you keep one sandy area fairly damp the female crickets will lay eggs there. Water…Keep a jar lid with a wad of moist cotton in it in an area of the cage. You can put a piece of curved tree bark or a paper tube in your cricket home. They like to hide, and to climb under and over things. Cleaning…occasionally you will need to clean out dead crickets, old food and molts. Notice…a dead cricket smells real bad! A cricket will shed its’ “shell” as it grows. This is called molting. A cricket molt is light in color, lightweight and has no bad smell. Sometimes it is hard to tell a dead cricket from just a molt. If you keep a constant food supply you should not have too much trouble with cannibalism. You will find dead crickets from time to time..they do die from old age. A newly molted cricket appears to be very pale in color, almost white and will be weak until it’s new shell hardens. Crickets make their chirpy sound by rubbing their front wings together. Crickets are related to grasshoppers but differ in some ways. I will add more info here as I learn it! On a nice warm day or even on a winter day, you and your child can go on a Bug Search! This is a fun project for kids and it can actually turn into a long term hobby. This hobby includes learning, discovery, journal keeping, common sense, empathy, observation, learning scientific names and classifications as well as the bonus of getting a bit of fresh air and exercise. It can also be a good way of breaking your child away from being in front of the TV or “Gameboy”! It IS a bug world. They outnumber us and you will be able to discover them almost anywhere. Some good places to look are in empty lots, fields, under leaves, under rocks, in trees, on your front porch, in parks, on the sidewalk in front of your home and well, on a wall, just anywhere! Year around, but especially in the winter some will have come indoors, so your search doesn’t necessarily need to be outdoors! Put together a list of the kinds of bugs you hope to find and then go look! Check off the ones you find. Take scientific notes! This type of hunt is fun. You put together a list of the kinds of bugs you hope to find and then go look! Check off the ones you find. Write down your observations about each bug you find in your “Bug Journal”. What did it appear to be doing? Keep your “Bug Journal” with you wherever you go. Leave the bugs where you find them! Be careful about handling bugs. They can possess stingers, pinchers, or fangs! Here’s a possible bug’s perspective (point of view): If your only means of protection from “giants” was a stinger you would definitely use it! Right? 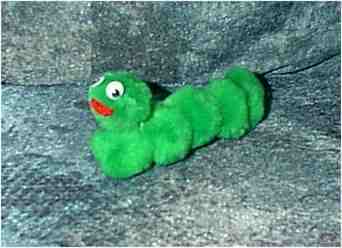 Remember, if you lift rocks, and other objects to look underneath for crawlies be sure to replace them in a careful manner. These are homes. If you capture and bring home a bug to study remember to return it to the wild when you are done. Go on “searches” during different times of the year. Note which ones you can find and how many. What do you notice about winter time? Where do they go when it gets too cold? Going on Bug Searches can be a fun thing to do in groups and you may even find yourself starting a club featuring this new hobby! eventually shortened to the present name "ladybug". they are typically about one quarter inch in size or smaller. aphids. One ladybug can eat as many as 50 to 60 aphids per day. plants by sucking the juice out of the leaves, stems, or roots. from one plant to another. in the evenings and early mornings. 2. Water the area where you are going to release the ladybugs. drink instead of sticking around to eat. tend to crawl more in colder temperatures rather than fly away. and 400 which live in North America. – A female ladybug will lay more than 1000 eggs in her lifetime. – A ladybug beats its wings 85 times a second when it flies. – A gallon jar will hold from 72,000 to 80,000 ladybugs. that birds and other predators won’t eat them. – The spots on a ladybug fade as the ladybug gets older. Massachusetts, New Hampshire, Ohio, and Tennessee. harvest, an indication of good weather or a good luck omen. provide charm and pest control in your garden for years to come. a popular home decor, garden decor, and home improvement website. This experiment is easy and shows how a rainbow of color is hidden in black. It makes a colorful and artsy science fair exhibit. My daughter did this one for her 3rd grade science fair and had lots of fun with it. Place a dot of black ink in the center of a coffee filter. Put a small amount of H2O (water) on the plate. Set the filter on the water for just an instant and then remove it. What other things can you use besides coffee filters? This ink project is open in that you can let the child have fun with colors and end up with a display that is a little like a work of art. My daughter tried using many different things like the coffee filters, paper strips and string and different ink sources such as marker pens, food dye and paints. Another fun thing my daughter did was to hang the ends of pieces of cotton string in food color and after a bit see how the color would wick upwards. The kitchen got a little messy over a course of a week, but she had fun and ended up with some very colorful “tie-dye” looking coffee filters. Between the filters on this cardboard she taped her written explanation and labels. The cardboard backdrop was folded so that it would sit up on the table. In front she placed the pens and food dyes used in her “experiment”. During the event she took time standing near her exhibit to explain to passersby a little about her display. This part of the whole experience was very valuable to her, I believe. She was not required to stay at this very long and she really wanted to zoom around and see the other classmates exhibits too! I felt this was a simple and fun display for her to do (3rd grade)…stress and pain free, so to speak. : ) If you look up the words below your child can begin to see how these scientific words tie in. It can get messy so do this in or near a sink! Pour some milk into a dish (a small saucer will do). Put one drop of food coloring anywhere on the milk, but not in the center of the dish. Repeat this with the other three colors, making sure not to get the other colors too close to one another. Now carefully drop one drop of dishwashing soap in the center of the milk and watch what happens. The more fat in the milk the more effective the results. The colors should start swirling all around the milk in the dish as the bonds in the fat are broken up by the soap. note: Teaches about surface tension and bonds. You’re outside in the yard with your family or at the local park. Maybe you’re hanging out with your friends at the mall or skate park. A typical beautiful day; having fun, keeping busy, staying healthy. But wait! What are you breathing in as you go about your typical day? Everyday you are breathing the air around you, wherever you happen to be. You can’t see it but you can feel it as you breath and sometimes you can smell it. But what is it? Does it matter? Can air quality affect your health? Yes! The air your breath does matter. Even though you can’t see it and sometimes can’t smell it, the air around you can contain toxic particles that can make you sick. A simple experiment will let you know exactly what you’re breathing and what it can mean to your health. Our lungs absorb oxygen from the air and pass it into our blood stream so it can be transported throughout our bodies. Oxygen is important for our whole body as it provides energy we need to survive. Did you know that in industrial areas you are more likely to develop asthma? It ‘s also true that smokers are more likely to suffer from lung disease. Years of breathing particles of tar and smoke found in cigarettes and cigars can cause the lung tissue to develop cancer which can lead to premature death. How clean is the air where you live? What about around your school, where you play at the park, or where you work? Is the air at a park cleaner than air near a busy intersection? You can do a simple earth science experiment with Vaseline to find out the answers to these questions. Here are the procedures for a simple project you can do to determine how good or bad the air is where you live, go to school and play. This would also make a great experiment for your school science fair! – Clean and dry the carton thoroughly before use. – Cut the carton into four flat pieces by cutting along the side seams of the carton. – Cut each side into 3 square pieces, each piece will be approximately 3 inches long and 3 inches wide. You will have a total of 12 squares when you are done. – Punch a hole in one corner of each square. – Tie a piece of string through the hole to make a loop for hanging the square up, on a tree branch for example. – Using a black marker, draw a box about 1 inch square in the middle of the inside of each of the carton pieces. – Use three squares for each location, Write the name of the location on the bottom of each square. – Hang up three of your collection squares from a tree branch, sign post, light post, or any other safe landmark. – Spread a thin layer of Vaseline in the black box in the center of each square with your finger. – Remove the squares one at a time. Each time, use your magnifying glass to count the number of visible particles you see stuck in the Vaseline inside the boxed area. – Write the number in your data table. – For each location you will have collected three sets of data, so you will want to average the data to get a better result. Add the three counts and write the number down. Then divide that number by three to get your average number. The particles collected are what you are breathing in everyday. Many people are surprised by the number of particles collected. Which sites had the most particulate matter in the air? Were each of your three counts the same or different? What does this tell you about the air quality at each location? Other project variations could include comparing air samples before and after a rainy day; are there less particles? Though the number of particles collected can be alarming other environmental factors help filter the air such as plants. A NASA earth science study determined that indoor plants in a closed, controlled environment were able to extract pollutants from the air. 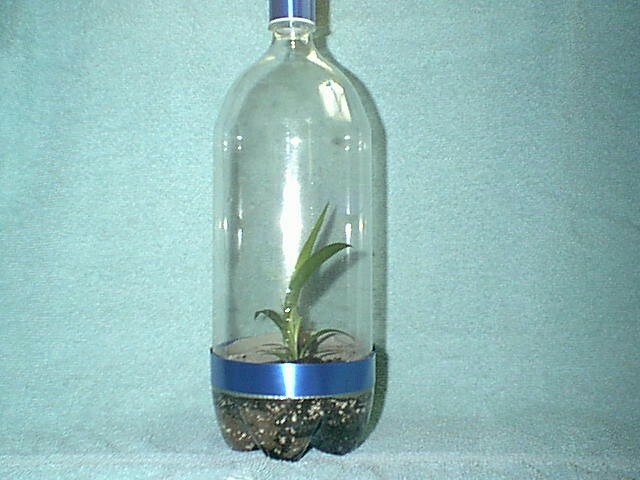 The foliage of indoor plants was capable of removing low levels of pollution, while plant roots, assisted by an activated carbon filter, removed air pollutants at higher concentrations. These filters around plant roots removed and biologically degraded pollutants before they accumulated. A follow up science project could be the study of plants in different locations to determine the amount of pollution in an area. Plants near industrial areas tend to grow slower and be less healthy because they are soaking up polluted particles in the area. The subject of dirty air and how it effects people and plants make great science fair project material that are sure to be a hit at your school science fair! Mort Barish is co-founder of Terimore Institute, Inc. science fair projects with step-by-step guides for children in grades K-12 to help them learn more about science. Use about 1 cup of soap and about 1 tsp. of glycerin to a quart of water. with many shapes and utilizing different materials. Recommended for outdoors ; ) Method tips: Dip your wand into the solution and gently wave with full arm motion. Vary the speed of movement and try blowing into the soap film too! 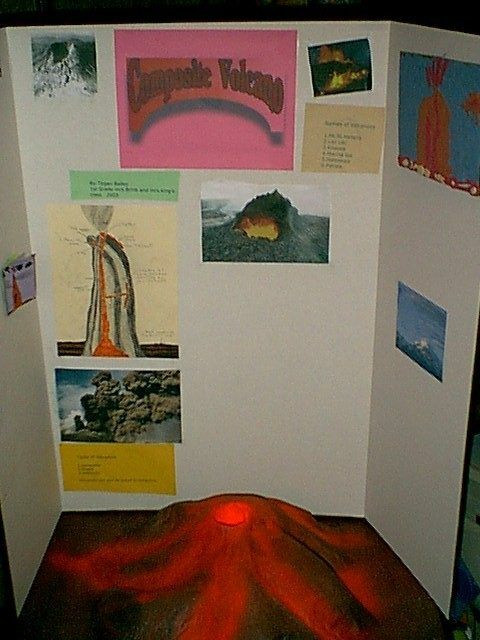 Here are a few ideas that might be useful when you create your science fair exhibit. The project you have chosen will basically stem from a question. Research and learn key ideas and vocabulary. Have a theory or an idea of the outcome. Keep good records of what you did. Record what happened and be able to answer questions. Then publish your results even if it didn’t turn out the way you anticipated. *You can expect to be signing up for table space and will need to limit the size of your display to possibly less than 36 inches wide and 36 inches deep. A basic card-table size is a good goal. *Most exhibits utilize a “backboard” which is a large rectangle of cardboard which you can fold into a 3-sided backboard on which you can glue paste or tape with doubled tape your “text” and image labels. You can locate a sheet of cardboard and fold “wings” that will allow this to stand upright. Or you can purchase this cardboard from a specialty store like a stationery store. Cover with self sticking paper, paint or cover with construction paper using a solid color that will contrast wih font/text print and backgrounds. *Cut out your “text blocks” and images using pattern scissors for a nice look and place on your background. Arrange them until you are happy with the results before taping, or gluing. Try positiong these slanted at angles and in level positions to see what effect you like best. *If your project involves moisture you might think about laminating your signage and bring paper towels for clean-ups. *A table cloth on your table space using a color to match your back-board or text print can make your exhibit look good. *On the table top nested in the tri of your backboard you will have space to place any solid objects that pertain to your exhibit. *SAFETY Make sure your project/exhibit/experiment will be a safe one concerning the public; participants as well as spectators. *Be there…meaning stay near your exhibit in order to answer questions and protect your display from inquiring hands. When you wish to wander and see the other children’s exhibits make sure you leave a responsible person to guard. *Bring a camera! Get someone to take a photo of you next to your exhibit! You have created something to be proud of! do not allow chemicals to come into contact with skin, eyes or food items. See a short movie of this volcano model exploding! Metal screening new or used to mold shape. Flour & water (newspaper, H2O, newspaper for paper mach’e. Water tight container for crater. Tall plastic cup. Display Back Cardboard for your facts sheets, etc. Paper toweling and small garbage bag for cleanups. Tub, pan or plastice box and plastic sheeting to place beneath your exhibit to catch “lava” overflow. Shape screening into a cone shape and staple onto plywood leaving center hole for cup/crater. Make paper mach’e “glue” with flour and water. Squishy & fun! Cover with paper mach’e. 3 layers drying between layers. When dry using spray paints decorate volcano. When paint is dry you’re nearly ready to explode! In a container mix about 10 drops of red food dye into about a pint of vinegar. This should be good for several “explosions”. When you’re ready to amaze people pour about 2 tablespoons of your red vinegar into the crater….Voom!! Paper towels will be handy to have on hand for clean-ups. If you want to go simpler still you can just use a container like a large pop bottle instead of a model volcano. Then use same directions as for the above model volcano – In a jug or large jar (with lid for transport), mix about 10 drops of red food dye into about a pint of vinegar. This should be good for several volcanic “eruptions”. Important: Make sure to have a large catch container like a deep tray or large pan underneath your volcano container -pop bottle, and paper towels on hand for clean-ups. Note: You might want to practice your volcano eruptions at home, maybe outside, to find out beforehand how messy this might be and what size catch-container you will need to use. Also be sure to create a poster with your exhibit’s information. To know more about setting up for a science fair and what to write on your poster and illustrations to include go to the science fair and site visitor ideas pages. Drinking straw, tape, string, long balloon. to the valve, tape the balloon to the straw. Release the balloon and watch it move along the string. track you can have races! As ants are temperature sensitive the companies usually only post the ants when the weather is favorable. That means if it gets too cold you end up with a packet of dead ants. Also there is no queen ant with the colony so the ants are short lived. They can not reproduce so they die off as there are no baby ants to take over. Like the other farms they all have plastic models of the standard farm on top so anybody looking at it will work out it is a farm. The main problems with this model seems to be the construction with some people having trouble putting it together and others saying there were too many holes in the containers so the little ants could break free and make a run for the garden. The next on the list is the Giant Ant Farm from Toys "R" Us. This is a bigger separate unit with just one container a bit over 1 inch think, so it is easy to see the ants. It is ideal for group viewing as it is nearly a foot high and one and a half feet wide. Plenty of room for the ants to do their thing. The main problem seems to be, the base is not wide enough and it wobbles and sometimes falls over. When that happens the ants usually die because the tunnels collapse. The idea is to make sure the tunnels do not collapse. The ants in this model are Carpenter Ants and they can give you a really good bite, so keep your fingers out of the cage. Also the color scheme is pretty bland. Mine was just straight green and no other color. Green box, green base and green silhouette farm scene on the top. At least Uncle Milton has some color in his farms. The next one is another Uncle Milton, the Habitat-Sports Park and this is a bit better than the Ant Farm Village. It has got good viewing spheres with a couple of magnifying glasses as windows as you can get a close up view of the ants. The construction is pretty sturdy and it is supposed to be escape proof, but some people had their ants escape. I think it is all in the way it is put together, so read the instructions carefully. Some others had their ant farm invaded by other smaller ants. The big red ants are no match for the little black ants. This ant farm looks like a take off from one of those mouse exercise cages with climbing walls, vertical ramps and gravity hoops. The last one we will look at is the Ant Hill from Insect lore. This is a very basic ant farm shaped like a cone so you have a three-dimensional viewing area the same as the Habitat-Sports Park. Here most of the activity goes on inside the sand dome so you only see the ants running around the outside of the hill. It has a very wide base so it is pretty stable. If you are a bit worried about having stinging ants running around the place this is probably the safest as it has a locking lid. 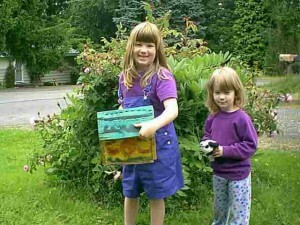 My suggestion is if you are really into ants, buy one of the habitats then go and find your own ants. Find a good ant nest and grab the queen ant and a bunch of others then your ant farm should last a long time. Why wait for the ant to arrive in the mail. Also there is some debate about what species of ant you end up with if you order through the post. Just remember most ants bite so be careful. Toyman, Peter Puzzler, I love toys and puzzles and animals and dinosaurs and bugs. I have kids of my own so I am always on the lookout for the latest and greatest in toys. 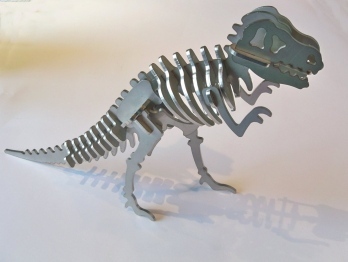 Their website specializes in toys, puzzles and games that have an animal, dinosaur or insect theme. Try These Earth Friendly Projects! scraps, and about 100 earthworms. You can dig for these, but be sure to get permission from your grownup! Or you can purchase your starter stock…some stores that sell fishing gear sell bait worms. What you do: Fill tub about 8 inches deep with bedding material. could have more than 4000 worms in there! What this does: Your worm farm can be a good way to use up some of the kitchen waste and create quality soil for a garden. Worm Tips: As your worms propagate they can be recycled into your garden or flower beds. (They will nourish and loosen the soil). And if you want to go fishing you’re set! Keep your worm farm from freezing. This can be an indoor or outdoor project. If you run out of table scraps you can toss in some dog kibble! through their skin. Eggs are laid in a cuff-like structure called the clitellum. plant(s),tape, ribbon, and water (H2O). the plastic bottle (about 3 1/2″). Save the bottom part (base). Put soil in the “base” and place your small plant into the soil. Cover the roots, press the soil firmly and add a little water. Fit the bottle over the base and secure with a band of duct tape. for your terrarium supplies it with the proper lighting. click above to try out the dirty air project.